Cabrera fathered two children with his ex-mistress, and he also has three children with his wife. Cabrera had already been paying his ex-mistress $20,000 a month before the court order, but cut the amount to only $5,000 a month in mid-2017 after his wife discovered the affair and filed for divorce. She later decided to not go through with the divorce. –	Respondent (Cabrera) to pay $20,000 per month in Child Support. Respondent owes an arrearage of $89,581 to be paid by 5/1/2019. –	Respondent to provide health, dental, vision and prescription drug coverage for children. –	Respondent to pay for DCF approved day care and will be an allocated expense. –	Respondent to pay for vacations and birthday parties, and provide yearly Walt Disney, Sea World, Universal and Orlando Science Center passes. –	Respondent to pay attorney fees. –	The court denies the request for College tuition. –	Respondent to carry a $5,000,000 life insurance policy until the youngest child ages out. Miguel Cabrera is best known as the star player for the Detroit Tigers. Cabrera signed an 8 year, $248 million contract with the Detroit Tigers, with an annual average salary of $31 million. Mathematically, his salary equals almost $50,000 per bat over the next decade, according to USA Today. He has a current net worth of about $125 million. Going through a divorce? Don’t go through it alone! 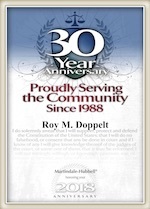 Call the Law Office of Doppelt and Forney, APLC today to schedule a free consultation with an experienced lawyer, never a paralegal or other staff member. We represent clients in family law court in all of the court houses in San Diego County including downtown, Vista, Chula Vista and El Cajon.